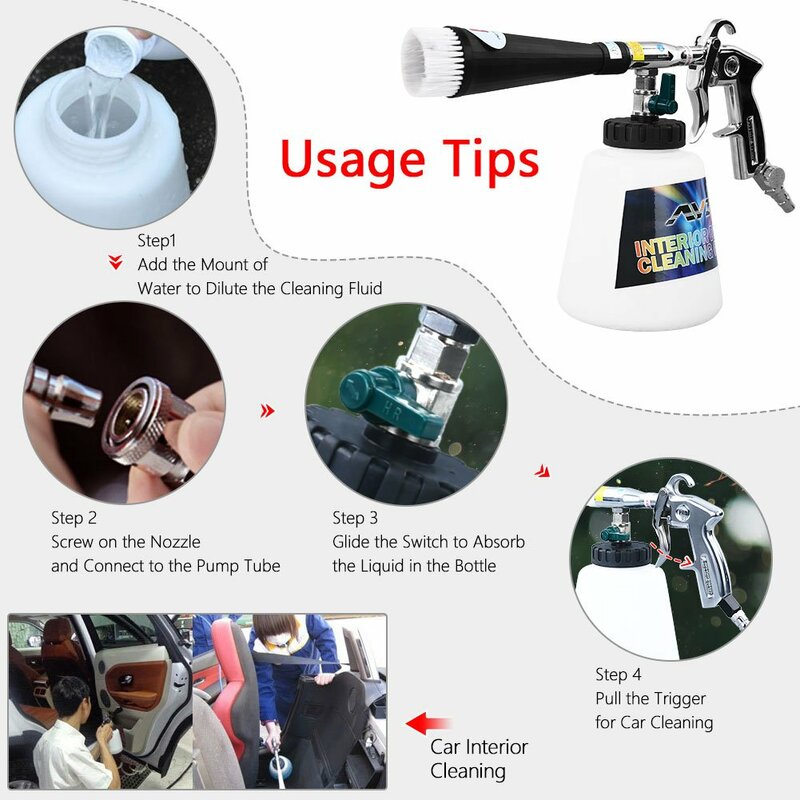 The Car Cleaning Gun is connected to the air source which causes high-speed rotation of the circular tube within the bell mouth of the cleaning machine with a pressure of 6.5-9.2 kg. The centrifugal force as a result of the rotation evacuates the airs in the center and forms a powerful airflow to atomize the detergent. The atomized detergent is attached on the stained parts to completely separate the stain molecules from the surface of the parts. High Efficiency: Cleans in the tightest spaces cleaning cracks and crevices, portable and environment-friendly, durable construction for lasting value. All good. In fact, even tried. An excellent device for химаря inside the car! !!!!!!!! Very fast! Recommend!! !